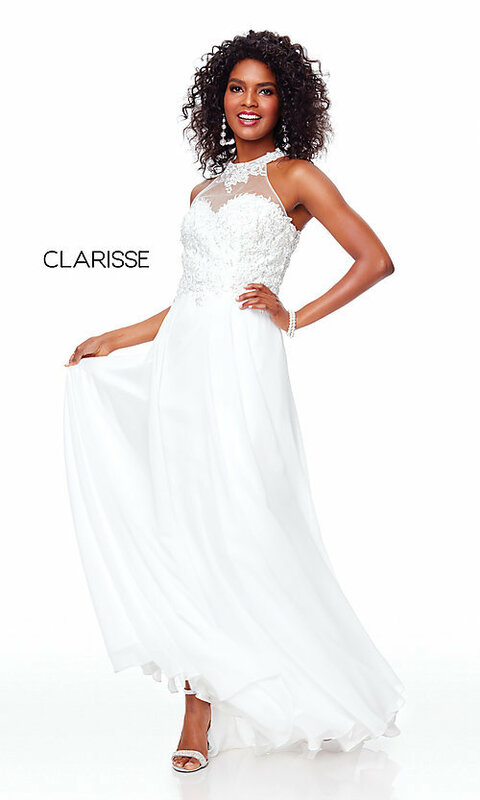 Be glamorous in this long formal dress from Clarisse that is impressive at prom celebrations and black-tie weddings. 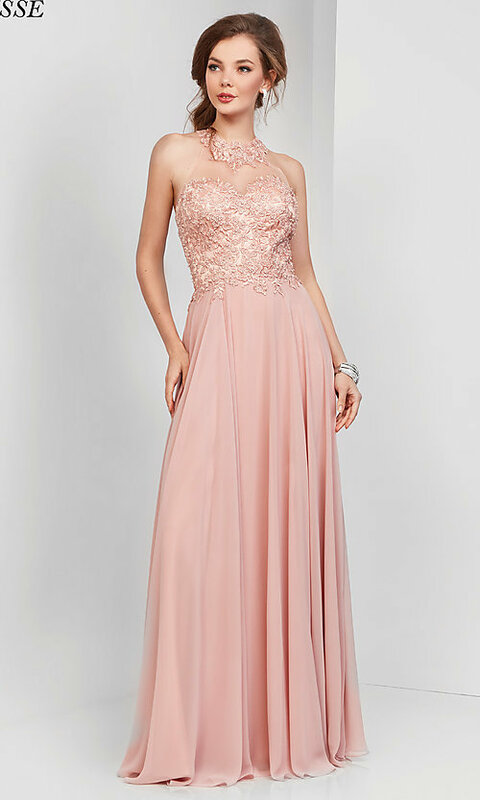 This gorgeous evening dress features a sheer high-neck bodice with gleaming pearl-shaped embellishments that dot the floral embroidery. Diminishing the need for jewelry, the beaded embroidery wraps around the neck before connecting at the nape and branching out to beautifully frame the triangular-shaped back cut-out detail. More beaded embroidery on the sheer-illusion bodice cascades from the sweetheart neckline to the natural waist. Fully-lined, the long chiffon skirt flows away from the hips to complete the look of this long formal dress that embraces an old Hollywood flair for fashion.